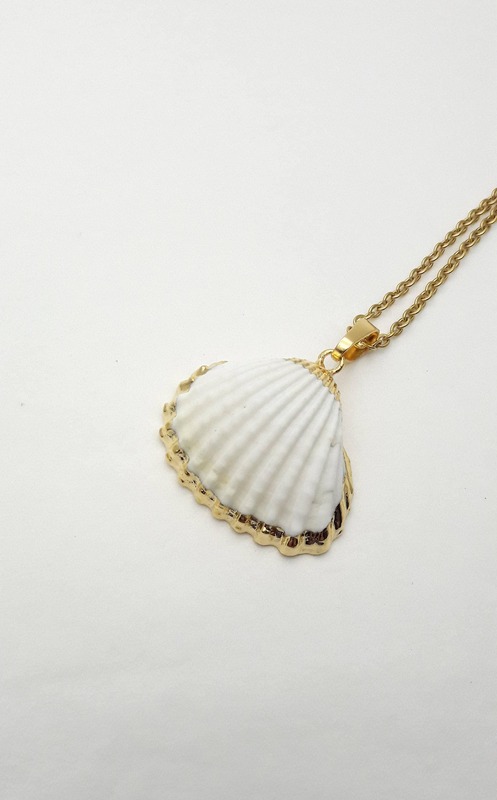 Gold White Scallop sea shell necklace//Ocean Nautical Beach Boho Mermaid Pendant//Real natural clam gold dipped 24k plated edge pendant. 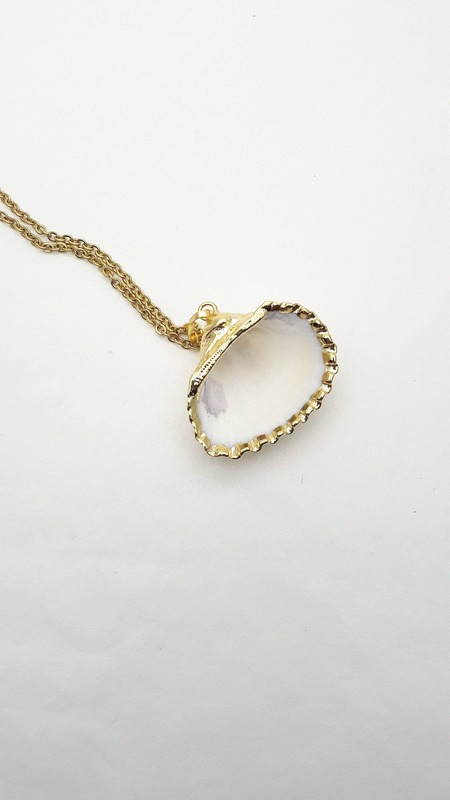 Hypoallergenic necklace. 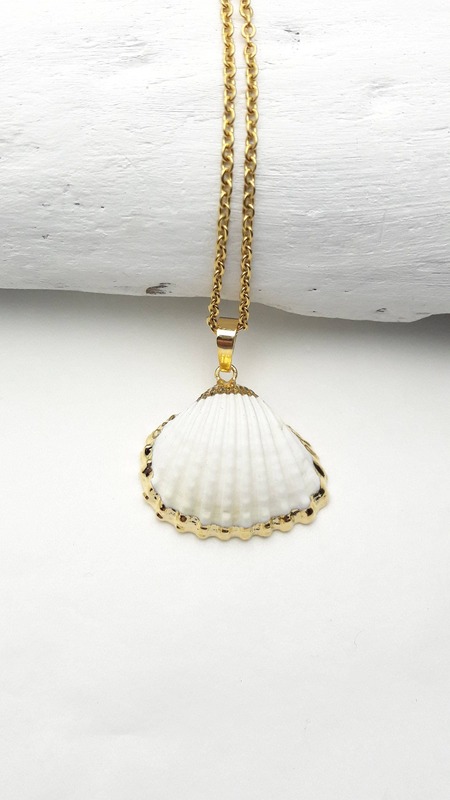 I made this necklace with a real natural white scallop seashell gold 24k plated around the edges and with a gold color stainless steel chain closed with lobster clasp. 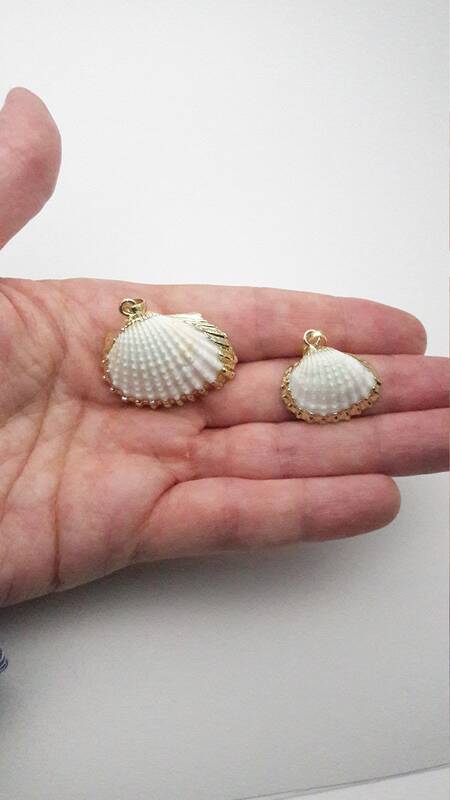 Small: about 15-20 mm long (25-30 mm with the bail) and about 20-25 mm wide. Big: about 25-30 mm long (35-40 mm with the bail) and about 30-35 mm wide. 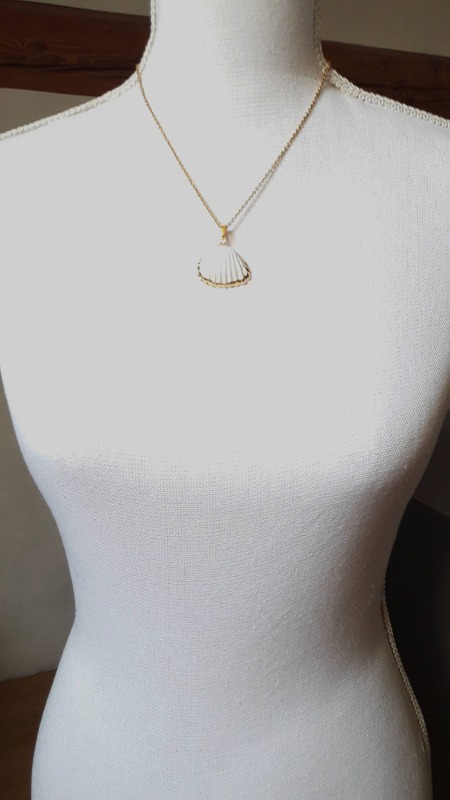 On the picture the mannequin is wearing a 18 inches chain necklace and a big pendant about 25 mm long and 30 mm large. 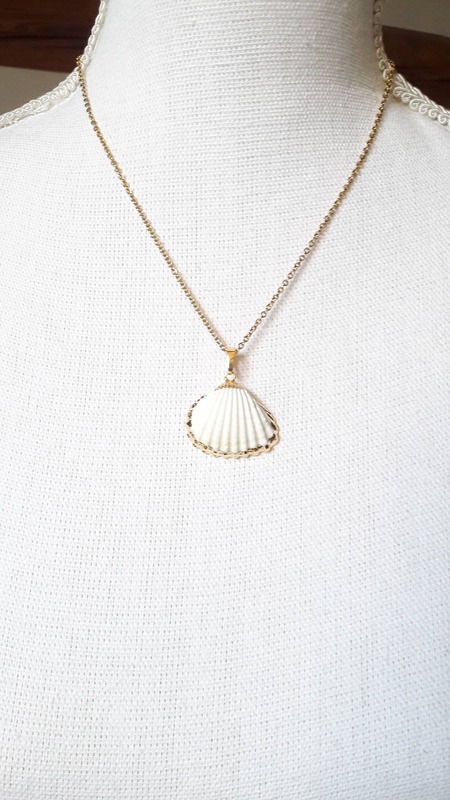 Nice minimalist, lightweight and natural necklace! 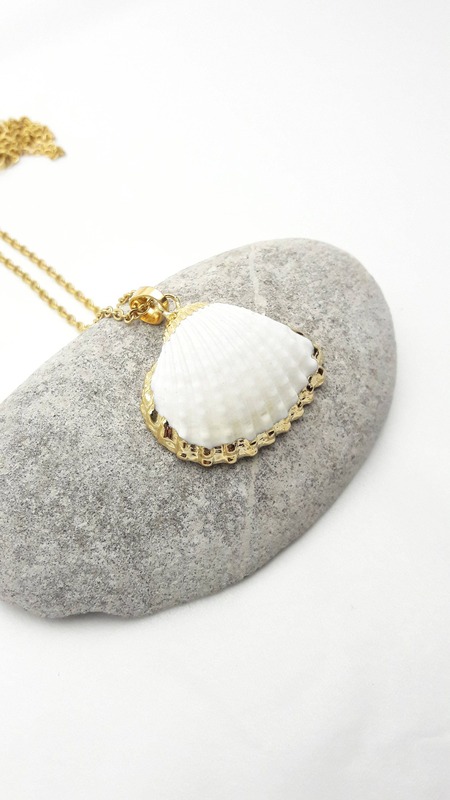 PENDANT : This Scallop Shell is a natural Sea Shell. 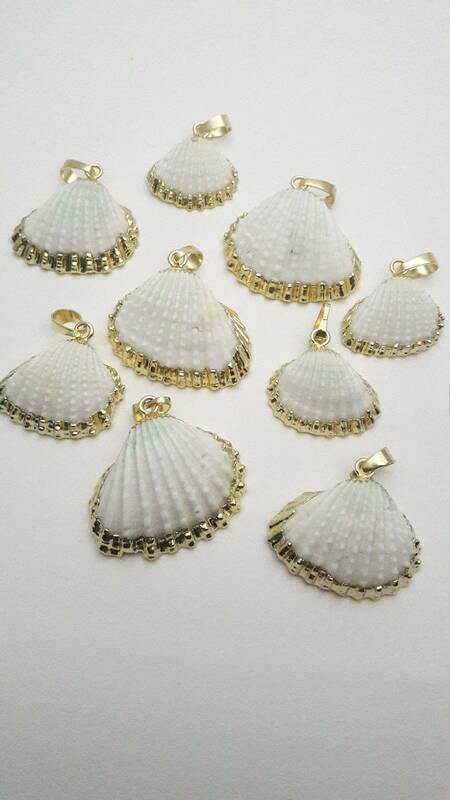 Each shell is different and unique. They are irregular and have different sizes and colors. 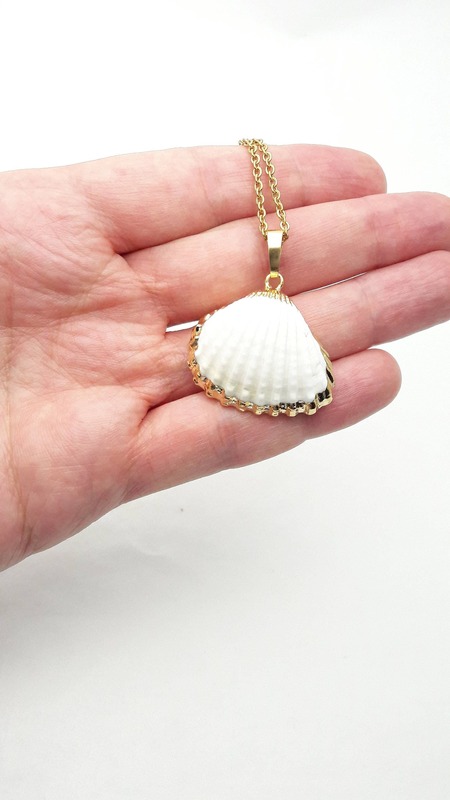 Your pendant will be similar to the picture, but not the same. 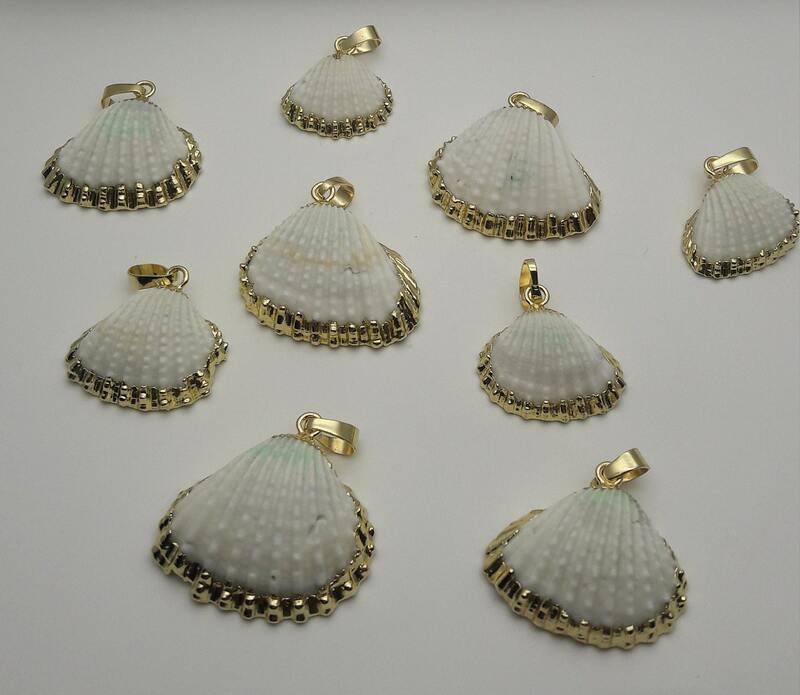 The white shell has some blue and beige reflections/spots, it is not completely white.